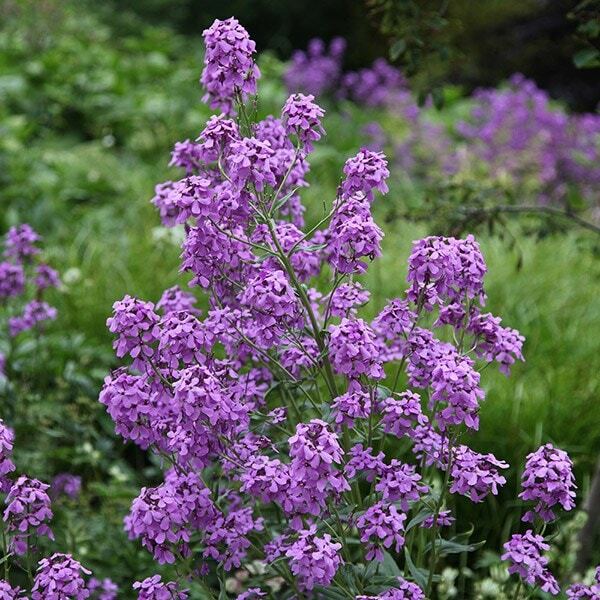 Buy Hesperis matronalis 40 plus 20 FREE large plug plants: Edible and look great sprinkled over salads. 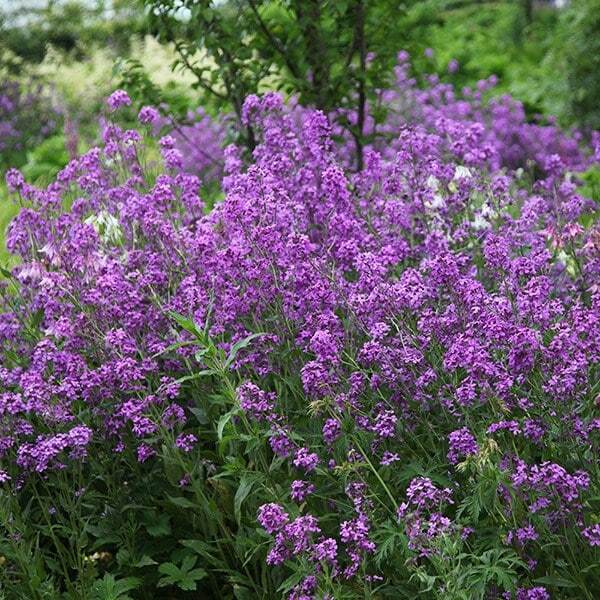 Sweet rocket is most at home in an informal herbaceous border, or when left to naturalise in a wildlife-friendly garden. The deliciously scented, pale lilac flowers form in loose clusters and are attractive to bees and other beneficial insects. Their perfume will fill the air late spring and early summer evenings. They are also edible and look great sprinkled over salads. Although relatively short-lived, it self-seeds freely.